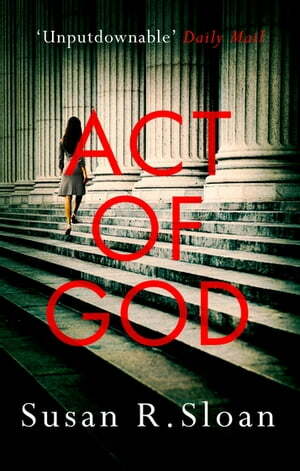 Collins Booksellers - Act Of God by Susan R. Sloan, 9780751569766. Buy this book online. A gripping and emotional thriller, perfect for fans of Jodi Picoult. A bomb destroys a medical centre in Seattle, killing over a hundred staff and patients. While no-one claims responsibility, the authorities are sure pro-life campaigners are behind the attack. This view is swiftly reinforced when the evidence leads them to Lieutenant Corey Hamlin, whose wife aborted his child when he was away at sea. Dana McAuliffe is asked to defend Hamlin, a task she instinctively wants to decline, but when she meets the accused man she quickly discerns that the case against him is far from water-tight, and that he is most likely innocent. As the trial draws closer, Dana realises that both she and her client are being manipulated by political forces with scant regard for justice. With her personal and professional life on the line, as well as trying to keep an innocent man from the electric chair, Dana has to find the real perpetrator of the bombing outrage if they are to have any chance of survival.